Another group buying website will be launching soon! I'm a sucker for these kinds of sites so I'm really excited for this. 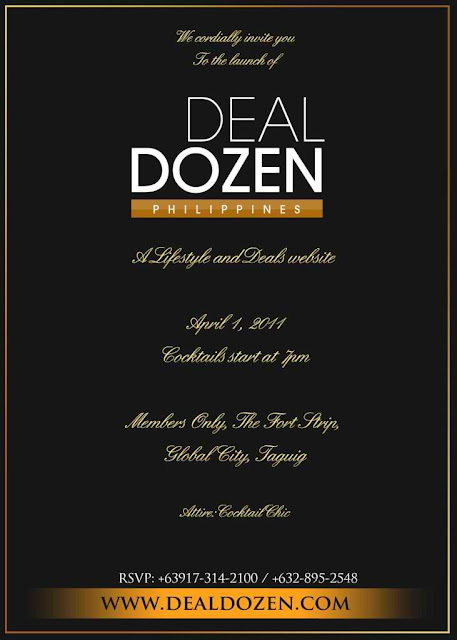 :) Deal Dozen, an online lifestyle and deals site, will be launching Friday April 1, 2011 at Members Only, The Fort strip. The event will formally start at 7:00 pm and will highlight a mini program and presentation of deal dozen.com's site, which will cater to a more sophisticated and upscale market. They will also be raffling a 3 days, 2 nights stay for 4 people at Alta Vista de Boracay for free! 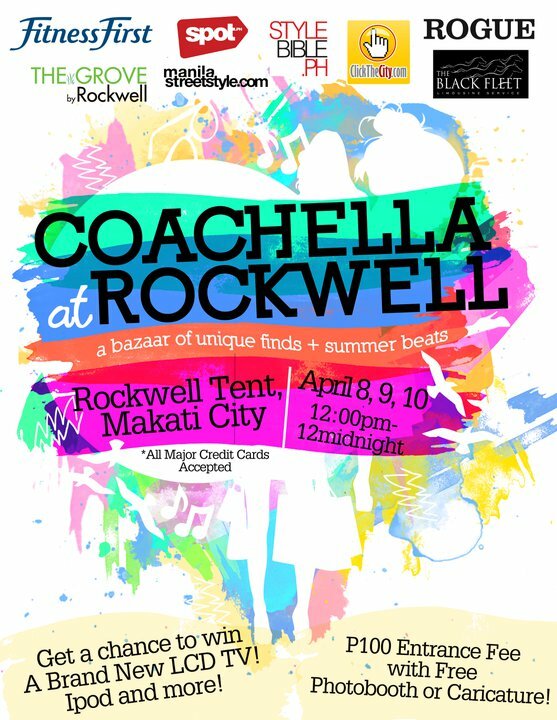 And you already know about the hippest bazaar ever, Coachella at the Rockwell tent. Good news is you, my readers, could come to both events! Just leave a comment below as to what event you'd like to go plus your names. Or email it to drowningequilibriums[at]gmail[dot]com. Hi Ate! can you include us in Coachella Bazaar's guest list?